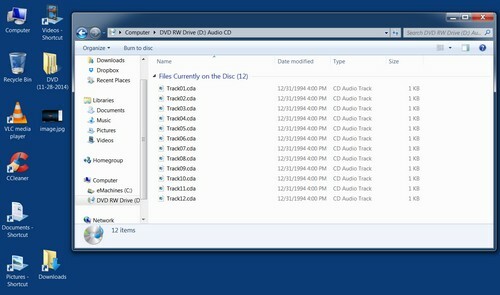 When I was using my old PC running Windows XP, I would often play an "Enhanced CD". [ Roswell (Original Television Soundtrack) Enhanced ]. I could listen to the audio tracks and also watch [ option ] special animations and other graphics and written data included on the CD. 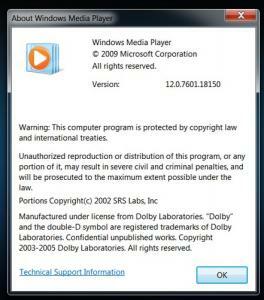 Since I am now running Windows 7, all I get is the audio. None of the animations or graphics can be seen. It plays like a simple audio CD. I tried watching on both Windows Media Player and also VLC Media Player but only get the audio. Anyone have an idea why? And is there a fix? Try this - right click an empty space in the player. In the ensuing menu you should see an item "Lyrics, captions and subtitles". If you expand that item you'll see an option to turn On. Turn it on an see if that does it. Hi Jim, I believe I followed your instructions but still no graphics. Can you see the "enhanced" content listed on the disc - go to My Computer and double click the ROM-Drive item to open the disc content - is there anything listed relating to enhanced content? 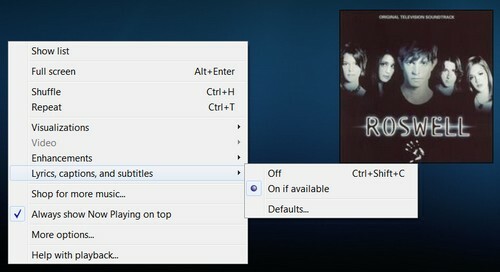 Do you have auto play enabled - when you insert the enhanced CD does is play automatically or does a list of options pop up? The reason for these questions: there may be a separate executable included for playing the audio + enhanced content, if auto play is enabled then it will likely just start the audio by default. 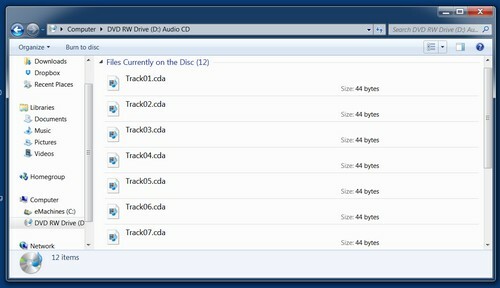 If you can see files relating to the enhanced content when exploring the disc, then there should also be an associated executable. 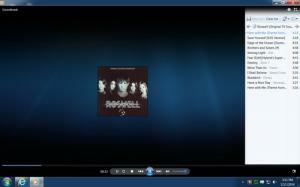 If not, then Windows Media Player is not "seeing" the enhanced content. Also; are you absolutely certain that the CD didn't originally require any additional installation, or link, or something, to play properly on the XP system? I tried everything Jim, but get nothing. I not only instantly fell in love with the music but I fell in love with what it had on the CD itself. 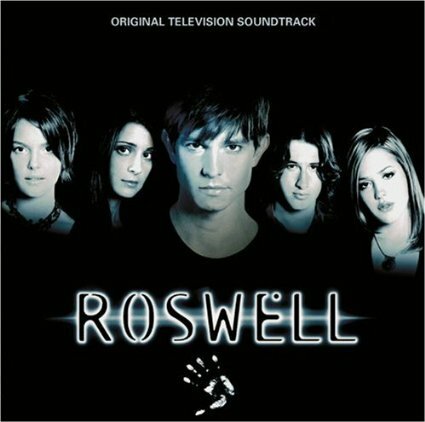 It has Roswell Desktop Wallpapers (Which is now on my computer), Screensaver (Another that I easily installed to my computer), and an Exclusive Family Character Map and much more. Now the map was extremely impressive, it has the most updated information from the show!! Hmm, it seems Windows Media Player is not recognizing any additional content at all. What applications did you take the screenshots from? The first one I don't recognize, the second one looks like it's taken from WMP. 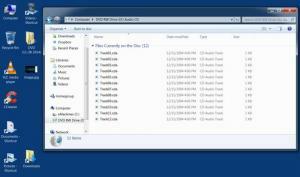 Can you open the disc in Windows Explorer and see what files are listed there please. Also, while in Windows Explorer, try changing the "View" setting to "Content". I must admit I am fast running out of ideas. I don't understand what you mean by "open disc in Windows Explorer".....can you guide me through that please. The attached image is what pops up when I put in the disc to play...that is where I got the previous image you had question about. Okay, seems you have auto play enabled. I asked that question earlier but you didn't answer it. 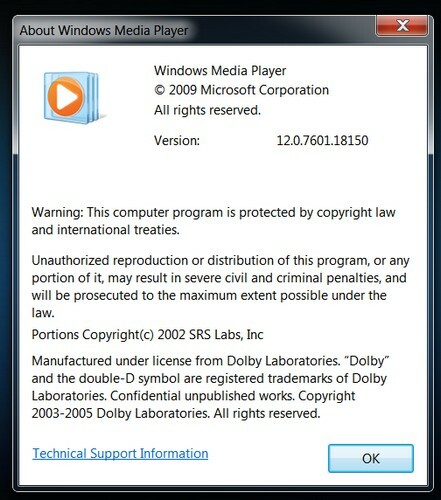 When you insert the disc, auto play is automatically opening it in WMP. Just close out WMP and go to Start>Computer. Now right click on the ROM-drive item and select "Open" from the menu. 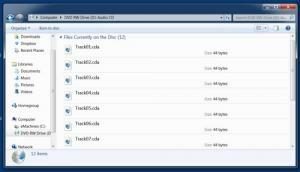 Can you now see other files, other than the audio files that is? 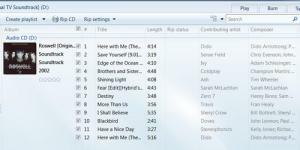 And this is what pops up when I click on "content"
Okay, so still only audio tacks listed and no additional files. If there are data files on the disc, that is a strange result. Sorry Myles, I can't really be of much more help. Hopefully, someone else will drop by with some other ideas. myleswest, do you still have access to that XP computer? If so, you'll be able to enjoy the graphics. Sometimes, when changes occur, only a handful of users are affected (since only they were making use of a feature). You might consider yourself lucky that you were able to view those graphics in the first place, Mindblower! I am / was more interested in understanding "Why" the graphics are not visible on Windows 7 than looking at and making use of them. I wanted to learn. Try playing the cd with windows media center. I tried to do what you suggested but I do not know how to do that. 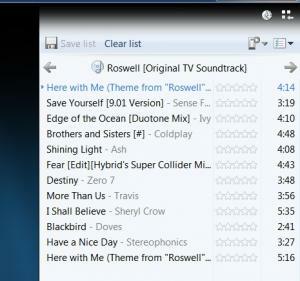 When I open Windows Media Center I don't see the Roswell CD listed. Could you explain how to do it? Thank you.